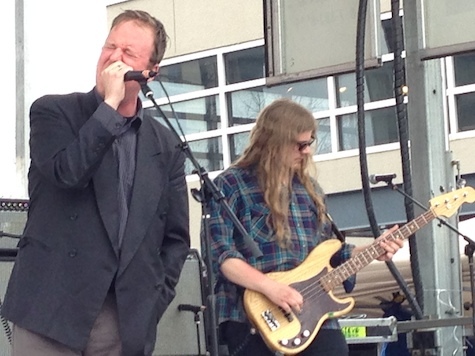 Protomartyr at this year’s South by Southwest Festival. The band plays tonight at Slowdown Jr. 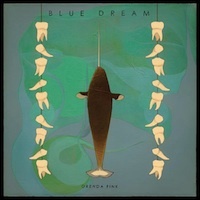 The always amazing Orenda Fink yesterday announced that her new album, Blue Dream, is coming out Aug. 19 on Saddle Creek Records. The first released track off the album, “Ace of Cups,” is being streamed at Soundcloud here. The press release calls the new album “a year-long meditation on death” that started with the death of Fink’s dog of 16 years, Wilson. I’m already feeling bummed out. “The album truly came together at ARC in Omaha, NE with the help of producers Ben Brodin and Todd Fink (The Faint), along with drummer Bill Rieflin (Ministry, Swans, R.E.M., King Crimson),” says the release. Sounds enticing. Speaking of new releases, a few new videos from bands with local ties (and new albums) have been released in the past few days. Former Omaha Melissa L. Amstutz, and her band. HERS, debuted a new video for “Please,” a track of her forthcoming album Youth Revisited. The vid was directed by filmmaker Lindsay Trapnell. Also, Desaparecidos keyboardist Ian McElroy’s Rig 1 project has a new video for “Duality,” the first single off the new album North of Maple (Team Love Records). One of my favorite discoveries from this year’s South By Southwest Festival, Protomartyr, headlines a show tonight at Slowdown Jr. The Detroit band’s post-punk sound has been compared to The Fall, Pere Ubu and Wire. Their new album, Under Color of Official Right (Hardly Art) is already on my best-of list for 2014. Opening for Protomartyr is Coaxed, Worried Mothers and Telepathy Problems. This is a big one, folks. $10, 9 p.m. In this week’s column, a rant about the Omaha World-Herald‘s litter distribution system called “Food Express” and how the paper is reacting to the public uprising against it. You can read it in this week’s issue of The Reader, or online right here.